Universal Stream recorder for music & movies, universal converter for PCs, smartphones, tablets, Apple, Internet video downloader, the best Internet TV, DVD recorder, playlist media player, CD/DVD recorder, media manager, cloud manager. Automatically record with Tunebite original programs and all other series from video on demand services episode by episode with the new autoplay function in the video stream recorder. 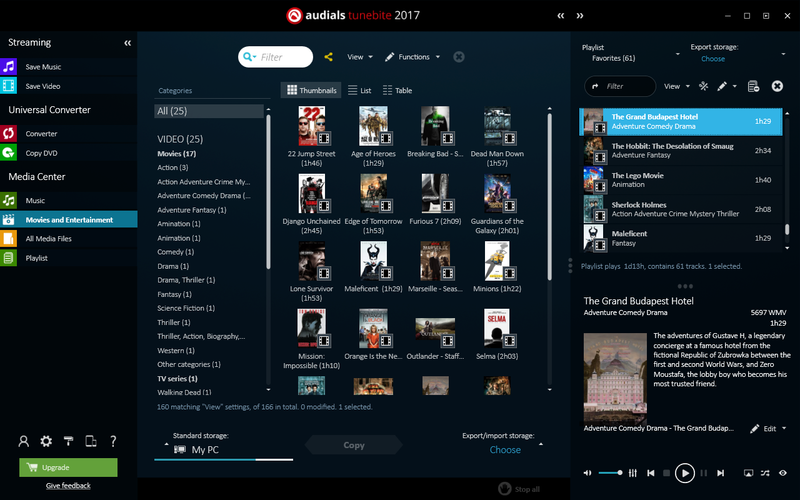 Audials Tunebite converts films from Blu-ray films from the available MKV video format to new files in MP4, WMV, AVI or other video formats both reliably and without loss of quality.